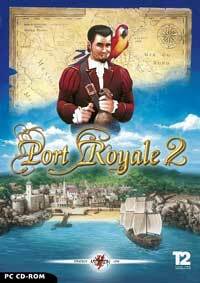 I never played Port Royale 1, so I can’t compare. But popular opinion has it that the first was actually the better of the two. Port Royale 2 is primarily a game of economy – managing your businesses, expanding your influence, and instructing your captains on trade routes. You can also do a fair share of privateering on behalf of the governors, possibly even winning one of their daughters’ hand in marriage. Sound familiar? It should – a little bit Sid Meiers’ Pirates! and a little bit Tropico 2, the game doesn’t really live up to the standards of either. The graphics are decent, but I felt substandard. This I can easily forgive. What I can’t easily forgive is the overall atmosphere of the game – in short, it has none. Many games have some sense of emersion – even if you’re looking down on a pixilated pirate ship from third person view while punching a keyboard, somehow the combination of music, imagery, strategy, and overall feel gives you the impression you actually ARE commanding a mighty sea battle. Not so with Port Royale 2. I found initial sea battles to be very tricky, but after some practice it became tedious and mechanical – send in ship, beat enemy down with chain shot, send in second ship with grapes, board. Wash, rinse, repeat. Person-to-person encounters are equally dissatisfying. Sword combat is even more tedious than ship combat, and interactions with people in town are about as engaging as a Choose Your Own Adventure book. I’m sorry this game wasn’t better. In an earlier time it would have been top-notch, but today it just seems substandard in most every respect. When I first got it I honestly enjoyed exploring its features and learning how to play, but after my first several hours it began to feel more like a process than a game, and merely served to whet my appetite to dig up Tropico 2: Pirates Cove again and give that another go. This entry was posted in Games and tagged ascaron by Bilgemunky. Bookmark the permalink.